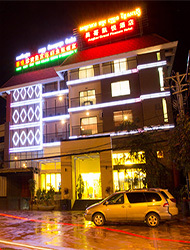 Address: National Road No.6, Siem Reap, Cambodia. 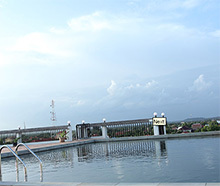 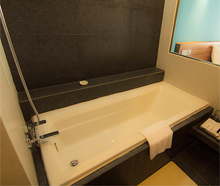 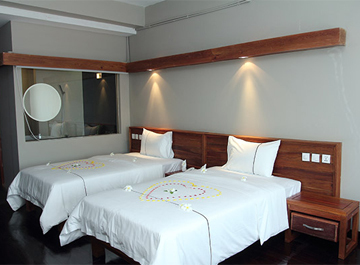 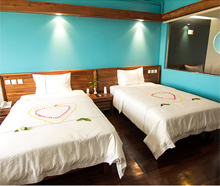 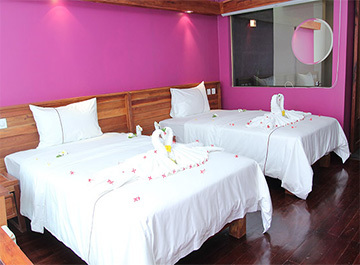 Description Mid-range Airport Road hotel offering nicely designed rooms with all modern amenities, complete hotel facilities including exercise room and a roof top swimming pool, at value-minded prices. 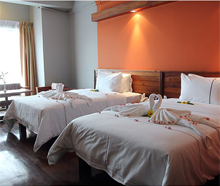 Rooms with hardwood floors, wooden furniture, quality bedding and en suite bathrooms with bathtubs. 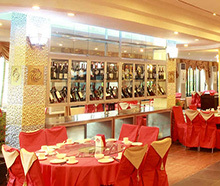 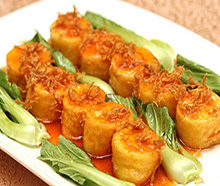 Good restaurant specializing in Cantonese cuisine and fresh seafood, but also offering a wide selection of Asians and Cambodian dishes.